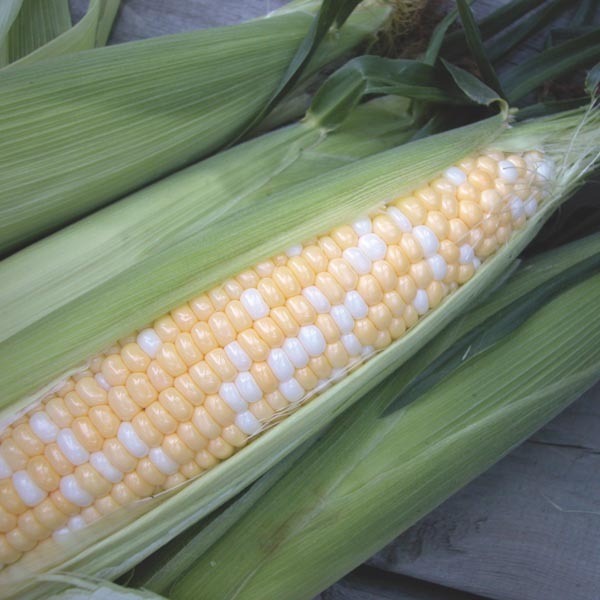 Home grown sweet corn surpasses anything you can buy. High quality cobs are packed with kernels of juicy, deliciously sweet Corn. A must for every vegetable garden. Wonderful when wrapped in foil with butter and baked. Delicious when lightly steamed or boiled. May be canned or frozen for later use. Wash fruits, vegetables and herbs thoroughly before eating. Plant in a sunny location after the threat of frost has passed. Best in fertile, well-drained soil. Keep soil moist, watering freely in dry weather. Harvest when silks turn brown.